There are lots of special drinks for Christmas and they are becoming increasingly creative. 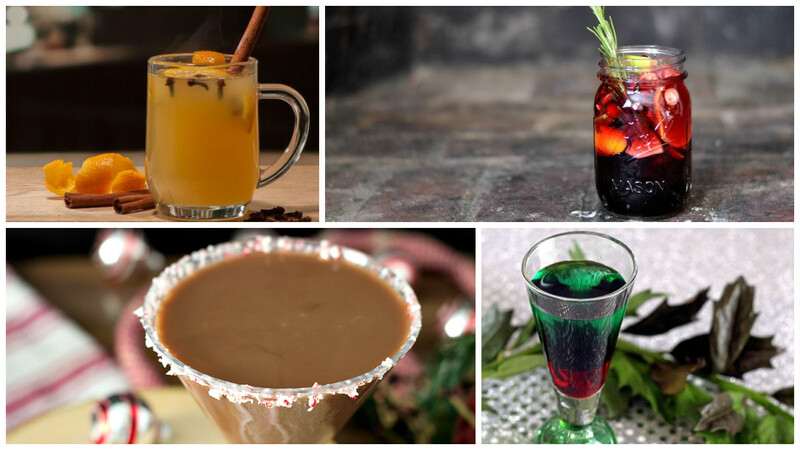 Here are 5 Christmas cocktails and other drink recipes to get your guests in the holiday spirit. Combine the first four ingredients in a mug. Boil water. Pour the water in the mug and stir. Garnish with the cinnamon stick, cloves and the orange peel. Mix wine, cider and fruits in a large pitcher. Serve over ice and garnish with rosemary. This very easy-to-make cocktail is absolutely delicious. Pour the chocolate milk into a shaker. Add the liqueurs and shake to combine. Your martini is ready to serve! This shot is great for parties, especially as a starter. Pour grenadine to about 1/3 of your shot glass and the crème de menthe and the schnapps in equal parts. You can garnish it with crushed candy if you want. Shake well all the ingredients in a shaker with ice cubes. Serve in a chilled cocktail glass.